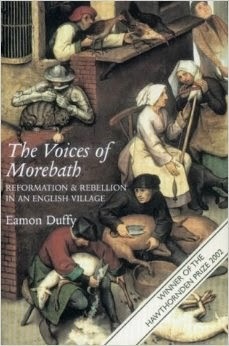 Eamon Duffy's classic book The Voices of Morebath is an extraordinary and unique study of Tudor society undergoing dramatic transformation. For 54 years Christopher Trychay was the priest of the tiny village of Morebath. For all that time he kept detailed records. Most of these deal with the financial dealings of the parish - the income and expenditure of the church, the costs of candles and repairs, the donations from parishioners and the cash given in their wills to help ease their way to heaven. But though most parish records like these are dry, Morebath's priest kept his records in detail - far more than simple columns of numbers. His notes were spoken from the pulpit and his records enable the historian to construct the detail of life in a village going through some of the most traumatic changes of its era. Duffy's book is excellently written, but his historic analysis is also superb. He has an eye for detail and an ability to see through numbers to tell a wider story. Here is, for instance, his summary of how the church "ales", the periodic sale of drink to raise funds, were part of wider village life. After the church, the most important building in the parish was the church house, also called the church ale-house. Located on the SE side of the churchyard, in the cluster of ten or eleven dwellings that made up the village centre or ‘Morebath town’ it was the parish’s place of public entertainment, a two storey building furnished with a fireplace and spit, with cups and platters and trenchers of treen [turned wood] and tin and pewter: its trestle tables and tablecloths were sometime loaned to parishioners for events like weddings. Visiting merchants could hire a ‘sete’ or stall there to sell their wares, like William the merchant who had a ‘standing’ in the house in 1535, or the Tiverton ciderman John Walshman, who sold cider there for four weeks in 1538. The ‘pleers’ [players] who paid 12d to the wardens to perform in Morebath at Easter 1533 may well have been hiring the church house. Above all, the fund-raising banquets known as church ales, organised by the churchwardens and by the Young Men of the parish (the ‘grooming ale’), and which between them provided the bulk of the parish’s income were held here. Beer brewed or bought by the wardens and food cooked in the church house itself were sold and served at these ales: in 1527 the menu at the high wardens’ ale included a roast lamb from the church flock, which had accidentally bled to death after being castrated. By Elizabeth’s reign and perhaps before, minstrels and a local man, John Timewell the harper were being paid to entertain the drinkers. Parishioners were expected to attend and spend their money, and official representatives came and supported from surrounding parishes, a favour which had to be returned when the parishes concerned held their own ales. If Dufy's book only concentrated on village life it would be interesting in an of itself. But at the core of his work is an examination of the impact of the religious changes that began under the regein of Henry VIII, continued under his son Edward, and were reversed by Queen Mary and then further continued and extended under Elizabeth. Henry's break from Rome had an enormous impact on the whole of English life. Even a village like Morebath, with barely 150 inhabitants had to adapt and change. New bibles and prayerbooks were introduced, icons and statues had to be removed. Funds could no longer be raised to pay for candles under the parish's statue of St Sidwell. Through all of this Trychay's metivulous records note the impacts of the changes and in particular the funding shortfalls as the parish can no longer sell ale, or raise funds in ways that it used to. He had been the spirit of Morebath, the chronicler of its dramatic and sometimes tragic share in the religious revolutions of that turbulent age, and the custodian of its blunt attitudes and salt speech. He had baptised their children, buried their dead, married every one of them. He had been the guide of their pieties, he had almost certainly encouraged their sons into rebellion, and, when the time came, he had eased them into a slow and settled conformity to a new order of things. Duffy's book is an excellent study of an English village in a period of transition. It is happy conincidence for us, that Morebath was so close to the historic events of 1549 and that they were detailed by such an obsessive figure as Christopher Trychay. Duffy notes that a "study of the Reformation in an Essex or Suffolk village... where many ordinary men and women welcomed the Protestant gospel... would look very different." Nonetheless, this is an important insight into the impact of that change and the way that ordinary people in one part of England responded. That Duffy puts it all so well into context means that this book is a triumph for both the casual and academic historian. Some sort of compulsive behaviour drove me to read Shipstar after I had denounced the first part of the two volume story. Its predecessor, Bowl of Heaven, was clunky and painful to read in places. But Shipstar seemed to have been better edited and planned. The first book left two teams of humans stranded on an enormous spacecraft. The spacecraft is a type of zoo, which has collected species from planets around the galaxy and now heads towards a distant star, also the destination of a space-craft of humans. The problem is, as this book proceeds apace towards its end, the authors dump good idea after good idea over board. The whole story becomes about find out who built the flying space zoo bowl and why. As the explanation becomes increasingly obvious, readers must be squirming in disbelief. Then gasp audibly as they realise that both authors chose this particular explanation over ones that might be slightly believable. When they've got over that, and they make it to the end, where the authors' postscript offers some sort of scientific justification surly most authors would be wondering what the point was. I'm only grateful that I didn't pay for it. 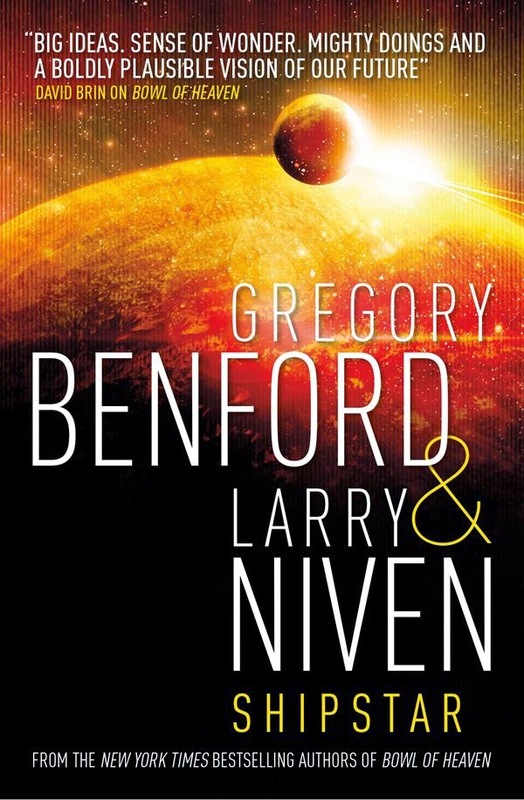 If you like science fiction, please, do not buy this book. 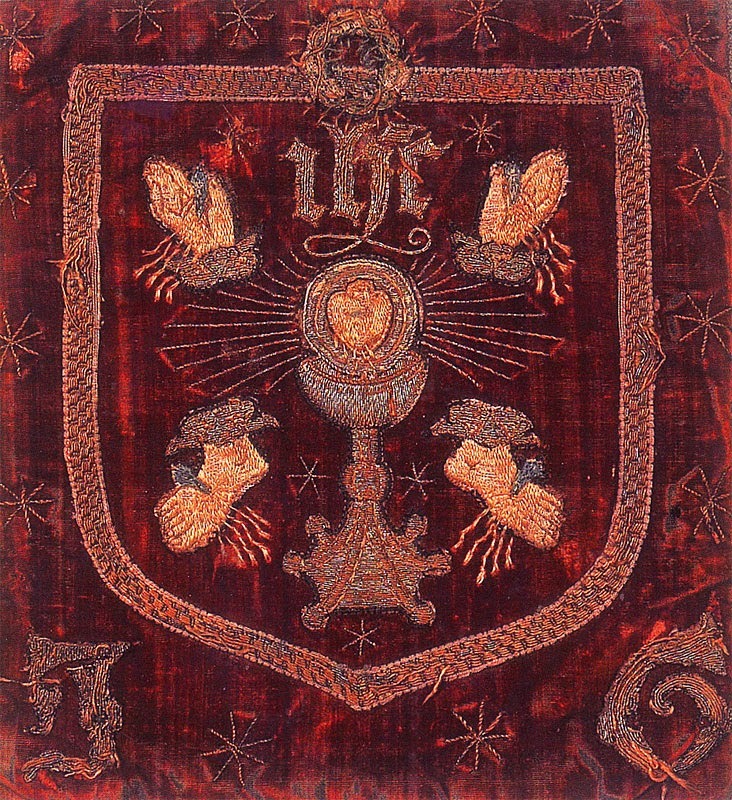 The Pilgrimage of Grace in 1536-7 was one of the most important Tudor rebellions. It is relatively unknown, yet the tens of thousands of rebels that were involved very nearly broke Henry VIII's government and had they marched on London history would almost certainly have been very different. Geoffrey Moorhouse's history of the Pilgrimage, and the Lincolnshire Uprising that took place immediately beforehand is an important account of this neglected event. a certain barbarous and savage people, who were ignorant of and turned away from farming and the good arts of peace, and who were so utterly unacquainted with knowledge of sacred matters, that they could not bear to hear anything of culture and more gentle civilisation. It is noteworthy for instance, that one of the demands of the rebels was for a northern parliament, possibly at York, and certainly the apparent concession that this would happen was one of the factors that helped disperse the mass of rebels towards the end of the rebellion. Other economic factors were to play their roll in stimulating the uprising. Henry's taxes were never popular and added to the woes of an impoverished people. But religious changes were the dominate feature. On several occasions rebellion was sparked by Henry's changes to traditional holidays. When the priest failed to announce the forthcoming saint's day, parishioners protested and mass meetings, and demonstrations followed. The rebels restored many monks to their monasteries enormously angering the king, and some rebels expressed anger and surprise when they found out that their comrades from other parts of the country had not done the same, suggesting that one of the most important aims of the revolt was putting "religious persons in their houses again". The rebellion spread through messengers and the ringing of church bells. But this was not simply a peasant rebellion, nor just a revolt of those at the bottom of society. Local landowners and gentry often led different armies, though strangely many of these did so only after being pressed into service. Their lives, or the lives of their families, being spared if they did so. It is striking though, how once in leading roles, the gentry often seem to have taken to their position with gusto. Heading up negotiations, leading military operations and helping spread the uprising. But many of these men also had genuine grievances. The most famous leader, the lawyer, Robert Aske certainly opposed many of Henry VIII's plans. Moorhouse points out though, that most of the gentry began "looking for a way out as soon as a hint of one appeared". The rebels were enormously successful, with tens of thousands of poorly armed men in the field and no standing army to oppose them, they were able to control much of the north of England capturing key castles and towns. The majority of the rebellion ended following negotiations with the king's representatives who seemed to give in to many of the rebels' demands. 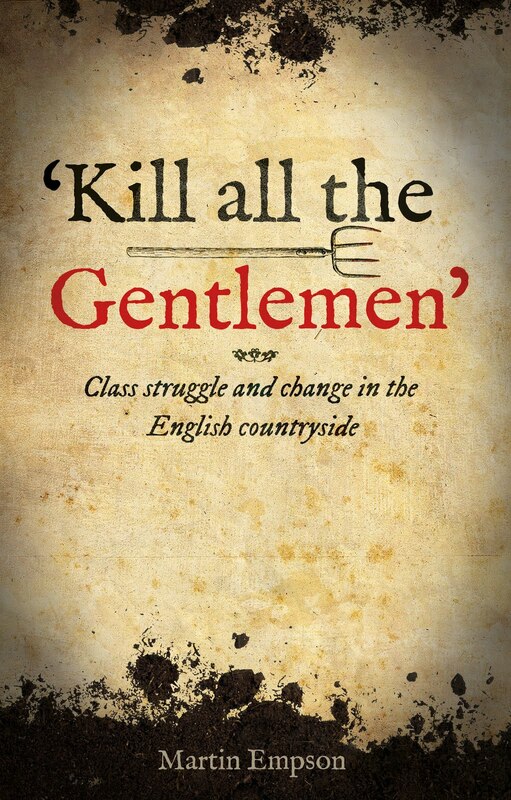 The demands themselves were mainly those of the gentry, reflecting their own class interests, though these were clearly influenced by the tens of thousands of ordinary people in arms through the country. Henry VIII seems to have failed to understand quite how endangered his position was, and even though the rebels had been pardoned, he used the excuse of an outbreak of fighting to renege on his promises. Some leaders, like Robert Aske, were executed as a result. Had the rebels not disbanded, and marched on London, things would have been very different. In the final chapter, Moorhouse speculates on the differences that might have taken place. Henry VIII has few options, he could have fought (and likely would have been defeated) or fled, both of which would have been disastrous for his rule. He could have negotiated, but that would have meant a weak government that likely would not have survived. Certainly figures like the hated Thomas Cromwell, a man who one rebel leader, Lord Darcy denounced at his trial, would have been killed. The reformation might have been still born, and English history very different indeed. The rebels didn't march on London and Henry VIII emerged stronger than ever, though his paranoia and revenge accounted for the lives of many linked to the Pilgrimage. 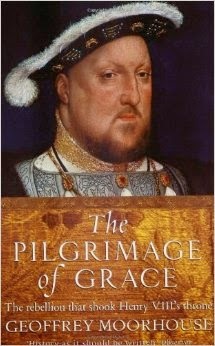 Moorhouse points out, that the economic and social problems didn't disappear and Henry did nothing to improve matters, which helps why in 1549, barely 15 years after the Pilgrimage of Grace, England erupted in rebellion again as peasant armies rose around the country. This is an important and useful book. Sadly it feels over-written in places and suffers enormously throughout from a lack of footnotes and source material, a major problem for the reader trying to delve deeper into this important history. Nonetheless this is an important piece of history for the reader learning more about the neglected social history of England. Intelligent Design has yet to make a significant impact on politics in the United Kingdom. But it has an acceptance in the United States where the authors of this book are based. 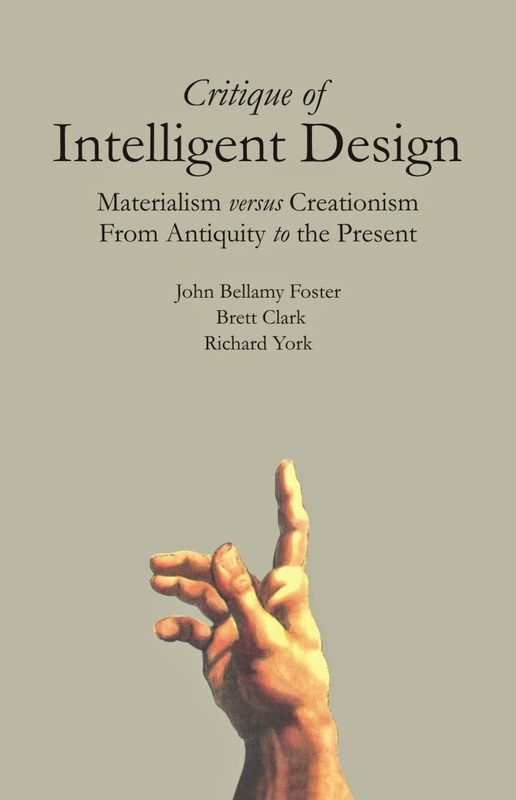 The Design movement is an attempt to reassert religious dogma in the face of scientific explanations of evolution and society, and the authors have written this book to help explain and counter-act the proponents of Intelligent Design. Western science itself is a product of a large part of a 2,5000-year critique of intelligent design that was tied to larger social struggles occurring over the same vast period. Intelligent Design, they write, is a "counterrevolution against science", an attempt, in the modern context to undermine and challenge materialism. Its leading proponents are well aware of this. Intelligent design seeks not so much to triumph over materialism in public schools and other institutions as to burn iot on the cross. Intelligent design proponents see the argument from design as part of a larger crusade against materialism that traces the problem not to Darwin but to Epicurus in antiquity. Epicurus is regarded as the archetype of materialism and the greatest single enemy of creationism. Hence, the refutation of Darwin is seen as necessary but not as the final or sufficient goal in a much larger inquisition. Indeed intelligent design criticisms embrace the entire materialist tradition extending from Epicurus... to the unholy trinity of Darwin, Marc, and Freud in modern times. Thus the Design movement wishes to challenge materialism as part of a wider reassertion of a Christian viewpoint that is inherently anti-science. The authors explain how the Design movement uses the metaphor of a "wedge", challenging at first particular aspects of science and integrating their ideas and people into wider public discourse, and ultimately "to see design theory enter into the physical sciences, but also 'psychology, ethics, politics, theology and philosophy in the humanities." Much of this book then looks at understanding the historic development of materialist science, and the way that design was "from the beginning a response to materialist/atomistic physics". Thus the authors demolish both the failings of Design theory scientifically, but demonstrate why their approach is driven by ideology rather than a real attempt to understand the world. 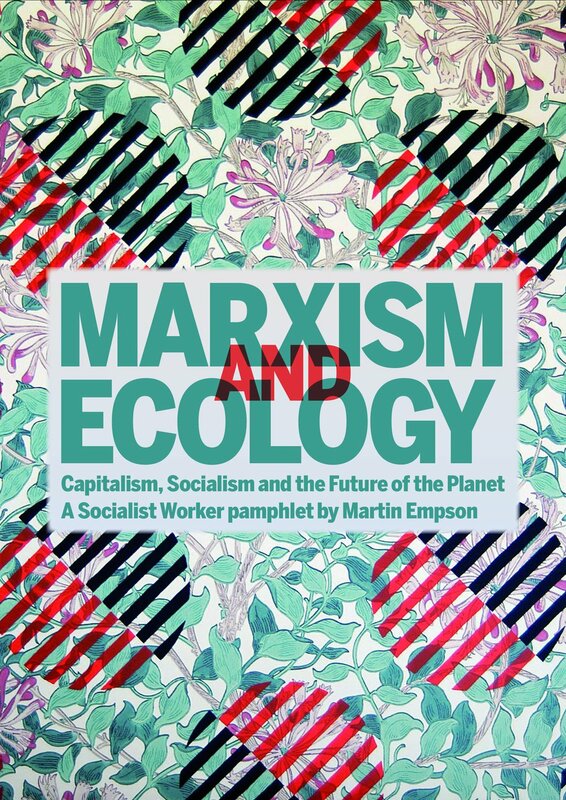 The authors also examine the key ideas and works of the "unholy trinity" of Darwin, Freud and Marx, who the Design movement single out as being the chief enemies. They give useful summaries of the work, particularly, at least for this reader, those of Darwin and Freud whose work is often misunderstood and caricatured by Intelligent Design proponents. Importantly however, the authors do not simply lay out their critique of Intelligent Design and religion through simply atheism. As Marxists, they have a more nuanced critique of religion, which argues that pure-atheism isn't enough. Indeed such an approach to religion can lead to reactionary positions. For instance, when some leading atheistic thinkers label all followers of Islam as bigoted. As a materialist, Marx opted not to invest in the abstraction of God and religion. At the same time he did not attempt to disprove the supernatural existence of God, since that transcended the real, empirical world and could not be answered, or even addressed, through reason, observation, and scientific inquiry. Instead he forged a practical atheism through his scientific commitment to a historical materialist approach for understanding reality in all of its dimensions. 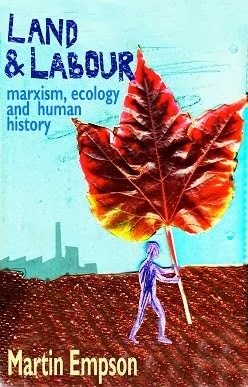 The practical negation of God and the affirmation of humanity and science demanded an active movement for revolutionary social change, the real appropriation of the world to pursue human development - the growth and expansion of human capabilities - and freedom. While this book is a useful critique of Intelligent Design, its real importance is in reasserting an approach to religion which is more than simply asserting that science is right. Indeed the authors conclude by pointing out that "reason, science and human freedom can only commence" when the "gods have at last been banished from the earth". That won't happen until a new world has been built, based on the interests of the majority of society and removing the real basis of religion - oppression, exploitation and inequality.